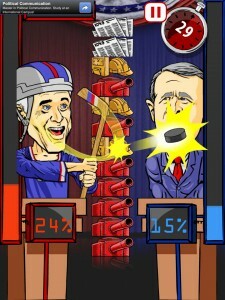 DURHAM, N.C. – June 13, 2012 – FiveOneNine Games today announced the release of its first title for iOS, Political Rampage. 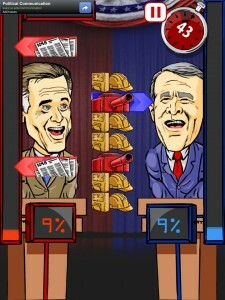 Pitting outrageous caricatures of famous American politicians against each other in a fast-paced, “match three” battle to win debates on the campaign trail, Political Rampage is the first incarnation of FiveOneNine’s mission to present culturally relevant content in an entertaining and fun format. 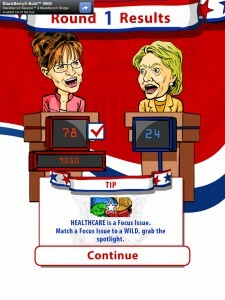 Players can choose between two game modes, “Campaign Trail” and “Never-Ending Debate.” The first mode sets players off on a series of debates with the candidate of their choosing, facing off against a cast of current, recent and historical political stars in themed debates across the country on the road to the White House. 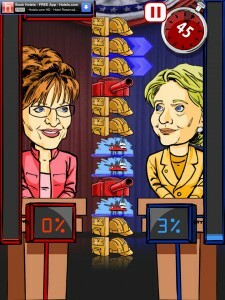 “Never-Ending Debate” tests the player’s endurance, challenging them to set a new high score against an infinite stream of opponents. 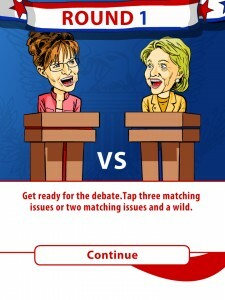 In Political Rampage, candidates create matches of key issues to battle their opponent and gain the approval of the audience. Occasionally a wildcard issue will appear; if selected as part of the match three, the politician will unleash one of four special powers upon the opponent, providing a hefty bonus and potentially winning the debate. 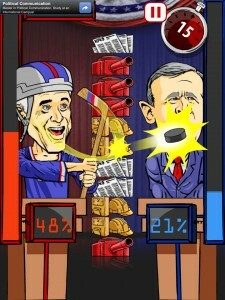 Political Rampage is a free to play game available now for iPhone, iPod touch and iPad in the App store.